Wanted to make a thread just for general talk about the season. Just for the stuff that doesn't necessarily warrant its own thread but also doesn't really fit into an existing thread. Already posted in the Texans GDT about Zuerlein's current pace. Set to break Akers' kicking record of 166 points in a season and even LT's record of 186. GZ currently is at 99. He was playing really well in clean up duty. Bummer. I guess this opens the door for Lance Dunbar and/or Justin Davis to get a little PT. Some reports out there he didn't tear his MCL but that he's out for the year. All McVay said was that he'd be out for a while rehabbing. Not sure what happens next but yeah I'd wager Davis is active now on Sundays. If Tavon gets more carries, I can't complain. But we'll miss Brown. He was a solid #2 and a good special teamer. Steven Jackson's life after football. Tavon won't replace Brown ever. Brown was very solid runner and powerful. I don't know if Dunbar can fill that role. I think we should be looking at the FA market for a legit #2 RB to replace Brown. Tavon and Dunbar are scatback and cannot come in on 3rd down to pass block when Gurley needs a break. Brown was doing that well. 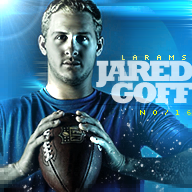 Goff currently has 35 more completions than he did in his seven games in 2016, yet he has an astonishing 941 more yards and eight more touchdown passes, along with three less interceptions. This means that in those extra 35 completions he has averaged 26.9 yards per catch and a touchdown on 22.9 percent of throws. The sheer efficiency of his throws has helped lead a huge turnaround in offensive production, also opening up room for running back Todd Gurley to maneuver, which is also a breath of fresh air after his poor season in 2016. Goff’s yards per attempt has gone up a whole three yards over the course of the year from 5.3 to 8.3. 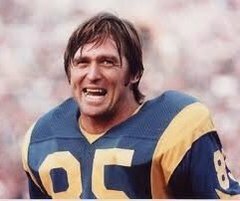 On top that his last game against the New York Giants saw him go for 14.1 yards per attempt, 3.2 yards more than the next closest quarterback and something he never even did in college at the University of California. That's literally what they signed Lance Dunbar to do. Tavon has already been utilized as the #2 HB. He can't replace Brown by himself, but he can take on a larger share of the work behind Gurley. Hum no, taking a few snaps at RB doesn't make you a RB2. Brown was the clear back up of Gurley. You are correct that they hired Dunbar for the Thompson role. Problem is that you assume that's not a pass blocking role. Thompson is one of the best in the business at that. Hum yes, Tavon is our go-to change of pace back. They went to Brown when the game was out of reach to grind out drives. Of course Brown was running in the 4th QT, that's what back up RB does. Tavon is our gadget player, he lined up everywhere, taking a few snap at RB but he's not a RB2 or a change pace back. 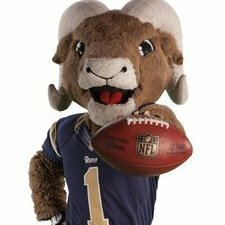 If Gurley went down, and Brown not injured he would be the first guy to replace him, not Tavon.